Being ill and requiring hospital treatment in Barton has always involved a long journey time. Even today you can expect up to 20 minutes travelling time even if you are taken to Hull on blue lights. Travelling to hospital has improved drastically over the years from the old rough road to Scunthorpe via Winterton to getting the motorway and then the Humber Bridge, which gave us access to Hull Royal. In the mid to late 1800’s Barton was quite a thriving port and there was a ferry over the river running from a jetty at the end of Waterside Road. If you were ill and needed to go to hospital at this time Hull Infirmary was actually the easiest hospital to attend. There was a kind of basket on wheels kept in the town for emergency transport to hospital. This would be pulled by a couple of men to your house where you were loaded in and then pulled through the streets of Barton down to the point where you were taken over the river on the ferry and then pulled through the streets of Hull to the Hospital which was nearer to the town centre than the site of the hospital now. In the late 1800’s the ferry moved away from Barton down river to the village of New Holland and the railways came to Barton so you would then be loaded onto a train in the basket and taken through to New Holland, down the pier onto the ferry. This continued right up until after the war. The ambulance now though was a stretcher on wheels with the luxury of a canvas hood over the top, which saved you getting too wet if the weather was bad. This stretcher was kept in the yard behind the Chemists shop on the high street and one of the last people to be the stretcher-bearer was a man called Wood. In the war years there were two motorised ambulances which were provided by local businesses. Thompsons furniture shop and Birkitts made their vans available for the local medics. These could transport four stretchers at a time in relative comfort. Relative being the appropriate word as the suspension left much to be desired. These covered all the villages around Barton and spent several nights in Barrow when the Germans dropped land mines on the village. Patients who required hospital treatment were transported to the War Memorial Hospital at Scunthorpe while less severe cases were brought back into Barton for treatment. In early 1948 fire officer ADO Renyalds called a meeting in the Oddfellows Hall from Scunthorpe. This was to set up the first recognised ambulance cover in Barton. There were members of the St. John Ambulance and Red Cross as well as some of the retained firemen at the meeting. It was decided that they would set up the system working from the fire station in Holydyke with the firemen acting as drivers and the first aiders from the organisations acting as the attendants. The people who started the system were Fred Bromfield, Jim Mumby, Don Fields, Arthur Bacon, Ron Brammell, George Stockdale, Tom Meacock, Everitt, Murwood Foster, Jack Petit and Clive Cook. Along with these men there were for the first few years, two women Beatie Bromfield and Fran Crow who were called out with the crew to all maternity cases. The first shift for the new ambulance service was on the 6th July 1948 with Jim Mumby and a man called Everitt doing the night shift. Jim remembers this very well, as it was the second night back from his honeymoon. At this time there were few phones in the town and so these men who did their normal employment in the day spent the night at the fire station sleeping on stretchers with a phone between them. Shortly after this date the station had two full time day workers Albert Crow and Beely Parish. These two worked the day shifts and were there to transport patients to the hospital appointments and also attend any emergency work. The ambulance was part of the combined ambulance and fire service and the people were employed by Lindsey County Council. The control room was in Cole Street Scunthorpe near to where the shop T.J. Hughes is now. There was no radio system available to the service at this time, which meant the only contact with the crews was by phone. Once away from either station or the hospital the ambulance could not be diverted to a new incident. One system that was employed for a while during the day is similar to that used by some of the catalogue firms today. Some of the shops in the villages that had phones would have coloured card in their windows. If an ambulance was required urgently the shopkeeper would be contacted by phone and they would put up a red card. When the passing ambulance saw this they would stop and use the shop phone to contact their control. Barton was one of the first towns outside Scunthorpe to have their own ambulance service and they would cover from Killingholme Haven out to Wintringham Haven and then out to Melton Ross. As more phones became available the ambulance drivers had phones in their homes once called out they would go and collect their attendant. As you can imagine it would take five to ten minutes for the driver to turn out and then he would have to get the attendant out of bed before they even set off for the emergency. For the first few years they were not given any kind of uniform and so would have to turn out in their own clothes. In 1953 they were provided with white coats to make them look more professional and a few years later the obligatory hat. It was about this time that oxygen was also carried as part of the normal equipment. Up until then their equipment had comprised of a first aid box with 12 triangular bandages, assorted dressings and four blankets. It was about 1960 when the ambulance service split from the fire service and staff had the option with which service they would continue. Frank Milner and Monty Beaumont transferred to the ambulance service at this time. It was also about this time that the vehicles were fitted with two way radios in the cabs. The ambulances continues to work out of the fire station on Holydyke in Barton and it was in the mid sixties when a third full time member of staff was employed as more people required transport for their hospital appointments. I started with the ambulance service in 1972. This was the Lindsey area of Lincolnshire and our control was housed in some buildings in the Fire station yard in Scunthorpe. This control was responsible for all the ambulance movements in the county of Lincolnshire down to Rutland except for Lincoln City and the Borough of Grimsby. There were other controls during the day but Scunthorpe had full control during the evenings and night. 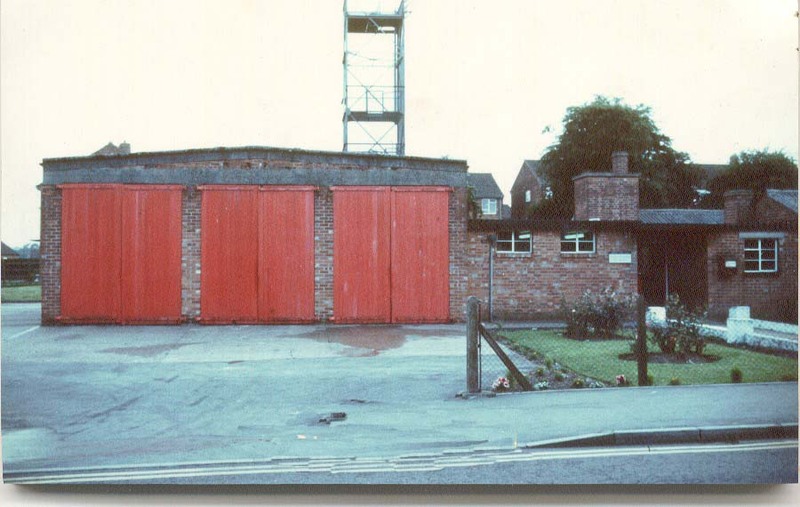 At Barton we continued to be stationed in the old Fire Station on Holydyke (where the new station is now built ). The ambulance crews who were only full time Monday to Friday 8am to 6pm had a small office to the rear of the buildings. There were three staff and two ambulances at the station and the ambulances were parked either side of the fire engine in the garages. The emergency ambulance which also was employed most of the day transporting out patients and a sitting car which was manned by a single ambulance man transported the more able bodied patients to their appointments. The three full time staff at Barton when I first started were Cyril King who was the Leading Ambulance Man, Harry Portess and Johnny Vrabel. Cyril moved into control shortly after I started due to ill health and the role of Leading Hand was taken over by Keith Green who transferred from Scunthorpe. Johnny Vrabel was an American who had come over during the last war with the American air force to operate out of the airfield at Goxhill. His name can be found on the memorial which now stands at the gateway to the old airfield on Horsegatefield Road in Goxhill. Along with these three full time staff were part time staff who were called auxiliaries. These staff had full time jobs outside the ambulance service but covered the hours outside the 8am to 6pm times. The people who were auxiliaries when I started were, Jim Mumby, Colin Bell, Denis Huteson, Monty Beaumont, Frank Milner, Clive Cook, Eddie Scott, Jack Petit. All these people had first aid certificates and attended the ambulance training school, which was at Horncastle. Each night or weekends the two members of staff who had been allocated the stand by for that time would attend the station to do their station duties of checking and cleaning the ambulance and then return home to be on call. If there was a call during their period of stand by they would receive a phone call from control and have to rush to the station and drive to the incident. If the call came in the early hours of the morning the two men would have to get up, get dressed and then travel the mile or so to the station which would take anywhere up to 10 minutes. Today the ambulance service have to meet a target of attending 75% of their life threatening calls within 8 minutes. In 1972 the Lindsey ambulance service drew up plans for a new ambulance station to be built on Tofts Road just past the Millfields turning. The local building firm of Stamp and Sons carried out the work. In 1974 we entered the new age of Humberside. The ambulance along with the other emergency services started a new county service and the Ambulance head quarters was in Anlaby just outside Hull. 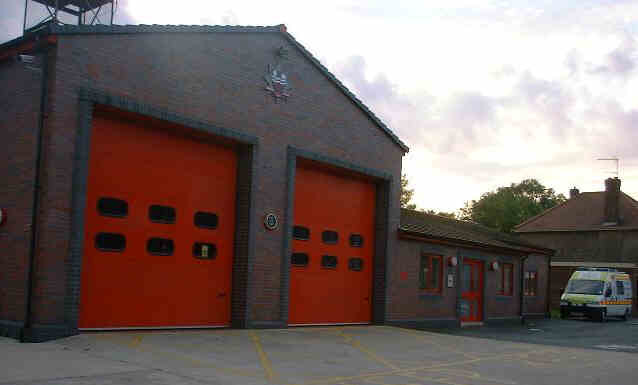 Shortly after the inception of Humberside the new station was completed which caused some debate as the new county service stated that they had not ordered the new station but were being forced to pick up the cost. This was soon sorted out and the ambulance staff and vehicles moved to the new station. Very shortly after the inception of Humberside the Ambulance Service was involved in one of its greatest response which was the explosion at Flixborough. The staff from Barton where involved in this disaster for several days. Initially most of the staff turned out and were involved in the evacuation of people in the area. For the following days the ambulance stood by at the site in case of further problems. This system of three full time staff and 10 auxiliaries continued up until 1977. It was in the summer of 1976 that the chief ambulance officer Mr. Malcom Fozzard who had been in that position since the start of Humberside decided that the auxiliary system was outdated and a full time station was required. Four new full time staff were recruited two from the auxiliary staff and two new members. Even with the introduction of full time staff it was not the end of the standby system. The new full time station was in fact a 16-hour station as it was actually manned from 0700 to 2300 with the late crew going home to cover the 8 hours of the night shift on the call out system. The staff on the station at this time were Johnny Vrabel, Harry Portess, Keith Green, Steve Horsfall, Dave Rushby, Denis Huteson & John Pullen later to be joined by Mally Ross. This call out system meant that all the staff employed to work at Barton Station had to live within 2 miles of the building. Most of the staff were Bartonians or had previously lived in the villages around Barton. At this time there were very few call outs within the night time and three or four calls between 11pm and 7am a week was the norm. Today we would expect at least that number each night. This again continued for quite a few years until the mid nineties when it was decided that there should be more full time cover. Initially Barton was given a night shift for four nights a week but it was later realised that Barton was a busier station than Brigg and so Barton was made up to a full 24-hour station. It was only in the mid 90s that the emergency ambulances ceased to be used for the normal day to day transportation of out patients and were kept solely for emergency cases. The first paramedics started in Barton in 1994 with Steve Horsfall and John Pullen qualifying. The trus t board of Lincolnshire Ambulance service decided that they would run the new area with just two ambulance stations, one at Grimsby and one at Scunthorpe and so do away with the stations at Barton, Brigg and Immingham. Initially they decided that they would keep the ambulances based in the towns and in Barton they arranged with Barton Medical Services for the crew to work out of the Willows Rest Home. So at midnight on the 30th September 1997 the crews left the ambulance station on Tofts Road for the last time and the “for sale” notices were put up. The building and land was later sold and now the station has been converted into a bungalow, which is aptly named The Station. The ambulance trust realised after a short while that there was a need to keep an ambulance in the Barton area and so the ambulance continued to run out of the Willows Rest home for about a year until Humberside Fire Brigade offered the use of their newly built station on Holydyke where it has continued until today. Quite a few of the staff today are from the Barton area though since stand by was eliminated more staff from away have moved to the station.